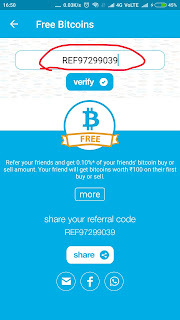 Yes, you can get free Rs.100 Bitcoins in Zebpay app by using promocode(REF97299039).I will tell you how to use this promocode and get Rs.100 in Zebpay.Lets get started. 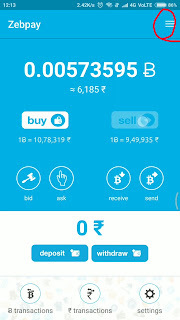 Once installation is done.Register in Zebpay with your phone number.After registration is dons successfully you will be landed in Zebpay home page.In this page click on options icon(3 parallel ;ines appear on top right corner). 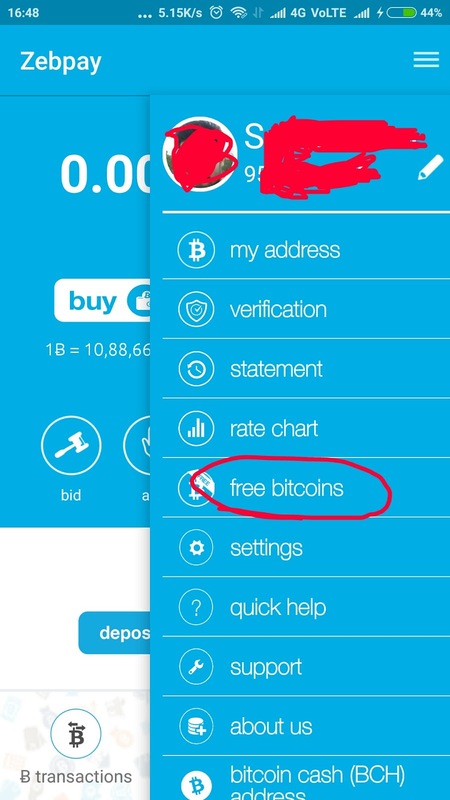 Then options will be displayed.In this click on free Bitcoins. 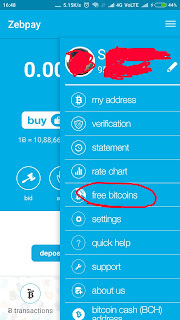 Another screen with textbox and verify button will be opened.In the textbox type REF97299039. 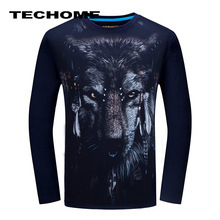 After entering the promocode click on verify.Then the code will be vrified and it will redirect to home page. 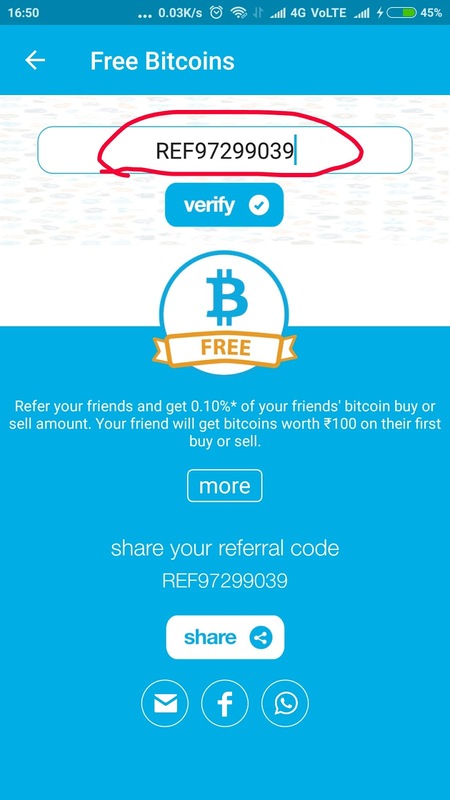 Now promocode is applied.You will get free Rs.100 Bitcoins when you successfully Buy or Sell the bitcoins in Zebpay. Thanks for reading my post.Hope you like it.Sitll you have any doubts please comment down below. Dont forget to share with your friends. 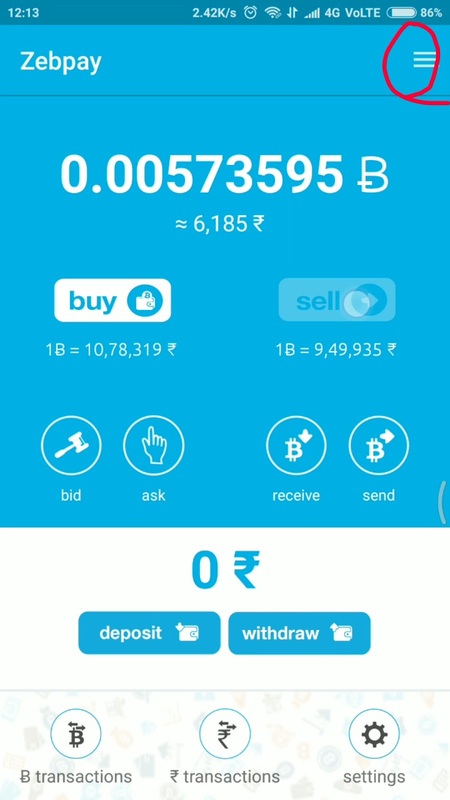 If you still having any doubts check out YouTube video.